Welcome to 576 Murray Meadows Pl. 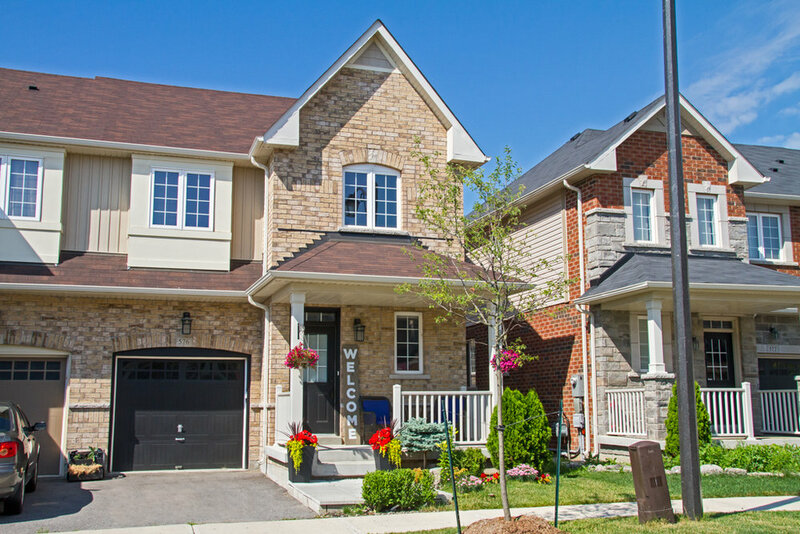 This absolutely stunning 4 year old, 3 bedroom, end unit townhouse is located in the highly sought after Clarke community of Milton, walking distance to schools, parks, library. 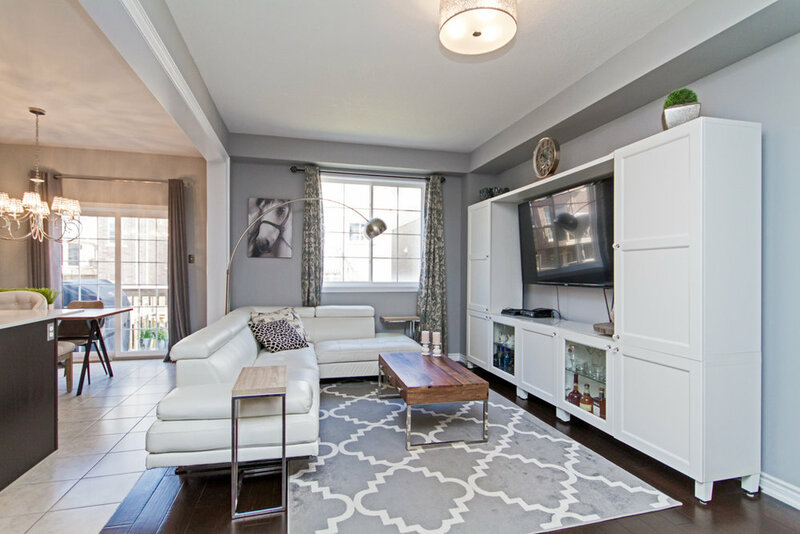 This terrific family friendly community is conveniently located close to major highways 401 and 407 making Toronto or KW access very easy! This meticulously cared for home is upgraded throughout. As you enter you will notice a spacious front foyer and an impressive 17 foot entry way ceiling. 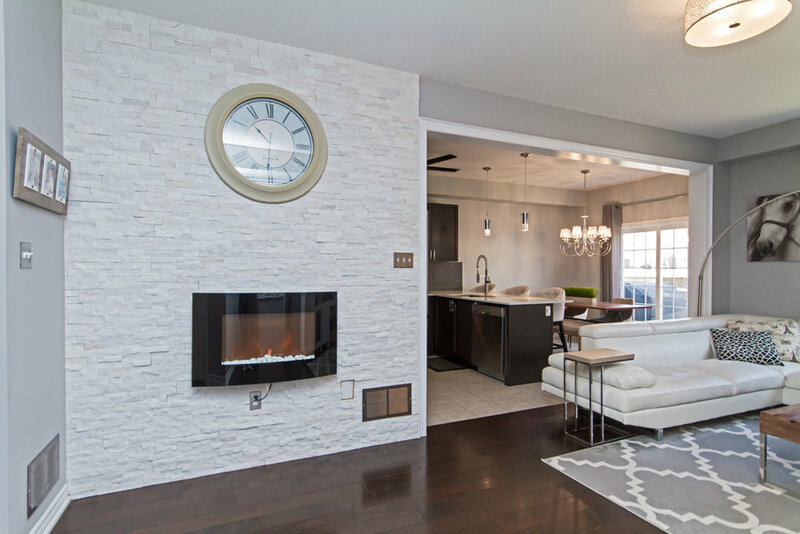 Continue along the wide plank, engineered hardwood floors into the beautifully decorated living room complete with stone feature wall and electric fireplace. 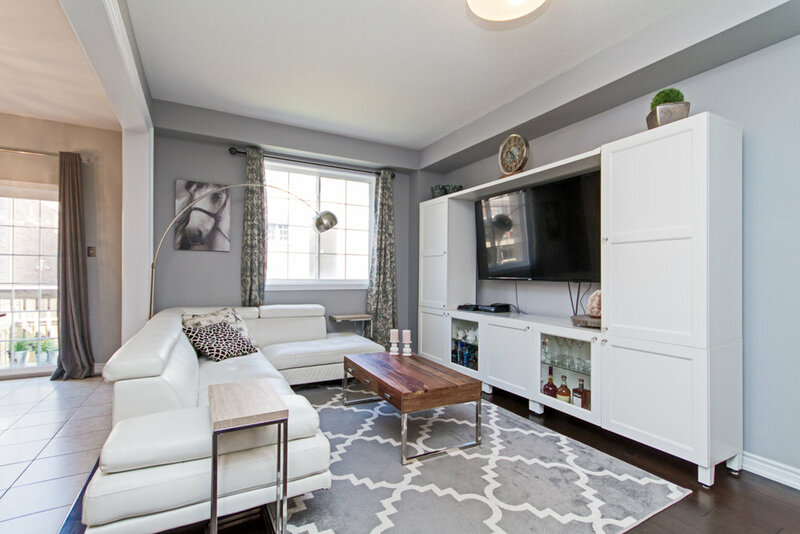 The living room opens on to the inviting kitchen area complete with SS appliances, quartz counter tops, extended height cabinets, soft close doors, upgraded lighting and spacious dinette, perfect for entertaining. 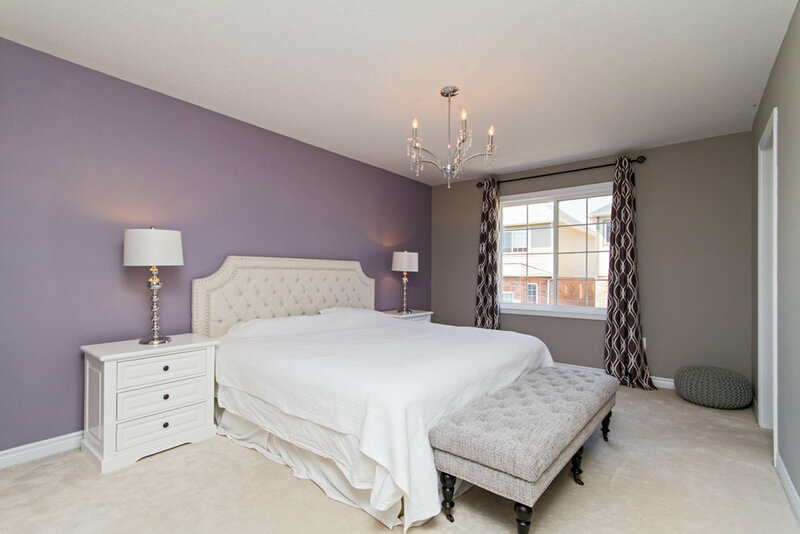 Up the sleek, Oak Staircase with wrought iron spindles is the spacious bedrooms including the master with 3pc ensuite and walk in closet. Nothing left to do but move in and enjoy.